Is the packaging itself non-toxic and environmentally friendly? Can it be recycled? With the number of chemicals we are exposed to on a daily basis and the waste already being produced, I want to do my part to try to reduce it as much as possible and I would hope that the green beauty brands do too. 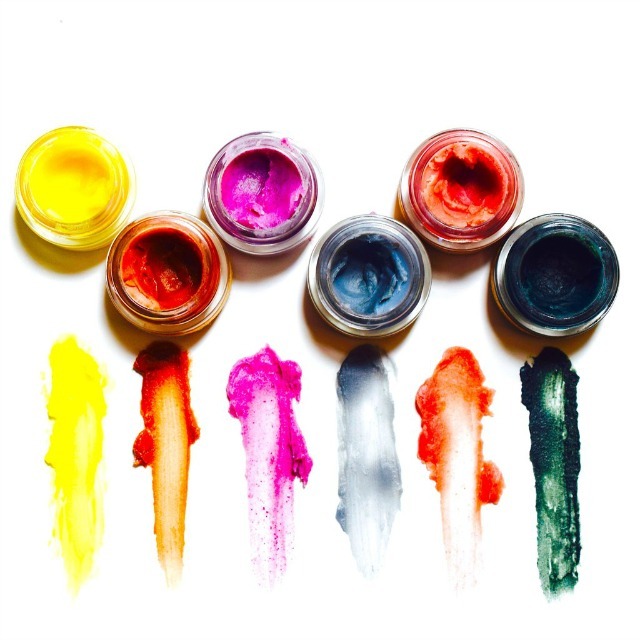 I am a huge fan of DIY and while that is an awesome way to be zero waste I do realize that not everyone has the time or even desire to make their own cosmetics or skin care. 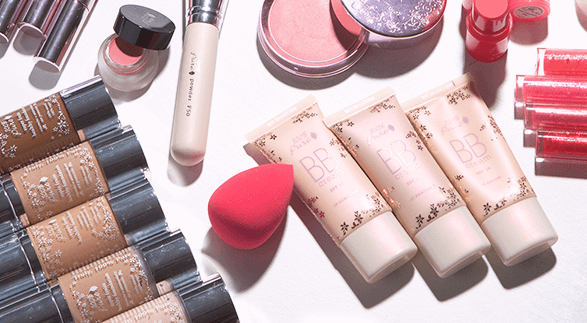 So you may be wondering… does makeup with really clean ingredients and packaging even exist? Of course, it does! But, it does cost more than it’s drugstore counterparts. 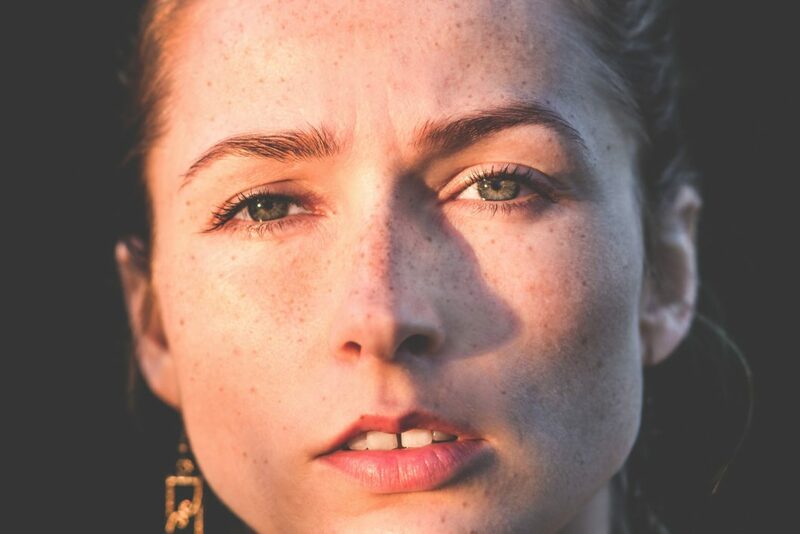 You have to just keep in mind that you’re paying for higher-quality ingredients that are actually good for your skin and health as well as higher quality packaging. By shopping this way I have found, that I tend to buy less makeup. I’ve cut out most impulse purchases, and I make my selections VERY carefully now. I use up the products I buy completely before moving onto trying another one. In most cases, if I am happy with the products I’ve been using I just repurchase the same ones again. Why switch? When I was buying drugstore makeup it was relatively inexpensive, However, I tended to buy more than I really needed to just so I could “experiment” with colors and whatever was “trendy” at the time. Of course, “experimenting” meant I used it twice and left it untouched in a drawer for the next several months or years. Not to mention the ingredients in these products were full of unhealthy ingredients that usually resulted in me having very unhealthy skin. Now by, being really selective and purposeful about my makeup purchases, I’m only spending a little more than I used to. I’m also wasting WAY less product and packaging. Shopping this way has also helped me stick to a more minimalist makeup routine. So for the reasons listed above here are my top picks for the most sustainable beauty brands. This is one of the cleanest cosmetics brands I have found to date thanks to Etsy. A small company based in Arcadia, CA. Each product is handmade with quality and purity in mind. The ingredients are so pure that a lot of them are actually food-grade. Not that I advise eating your makeup. It’s just nice to know that what you are putting on your skin is that good. You will not find any synthetic ingredients whatsoever. In fact, these products are 100% plant-based, cruelty-free, and vegan. Almost all of their products are packaged in glass or recyclable plastic. Some of my favorite products include the Organic Petal Blush, Tea Lip Balms, Organic Lip Gloss Tint, and Organic Petal Foundation. You can purchase samples of most products which is nice. The color selection is limited but I know that they are working on developing new products. It just takes more time and effort when you are working with such clean ingredients. So I am hoping to see a much broader selection of foundation and color cosmetics in the near future. Refillable packaging would be a major plus as well. 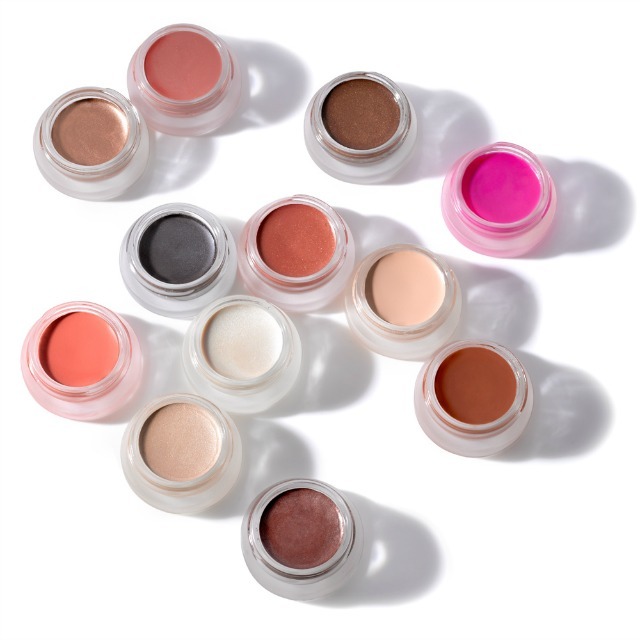 The colors that they do have available are very nicely pigmented, have a great consistency and texture and are much longer wearing than you would expect from such pure products. Another super clean and zero waste brand I found originally through Etsy. 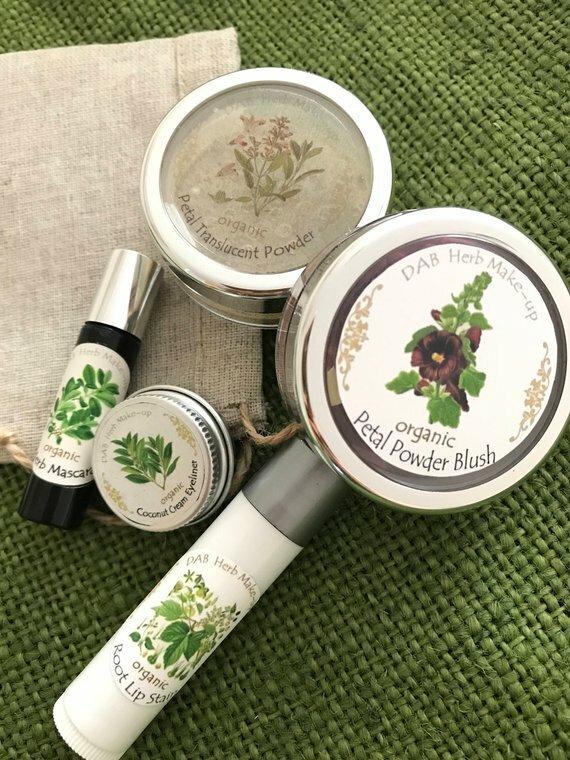 This company sells handmade 100% natural plant-based makeup and skin care. You will find absolutely zero synthetic ingredients and the packaging is 100% recyclable and environmentally friendly. 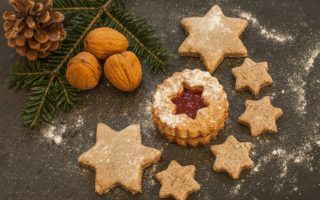 Quite a few products are vegan and all are cruelty-free and non-GMO. There is a nice color selection, a little something for everyone. They also offer a 30-day money back guarantee. Since these products are so natural they do not perform the same way as drugstore or beauty counter products do. They are not as pigmented and won’t wear for as long. They offer a beautiful sheer wash of color and some have a more grainy texture. I personally don’t see these aspects as a con, but I still thought I should mention it. Some popular products include – Strawberry Lip Tint, Foundation Balm, Coconut Cream Shimmer, and Beach Rose Luxury Balm. This was one of the first brands I came across a few years back during my initial search for really clean cosmetics whose packaging stood out to me because it was actually sustainable. Most are packaged in glass jars with stainless steel lids. The ingredients are free of GMOs, soy, nanoparticles, and the usual nasties. They also do not test on animals. The color selection is quite good. 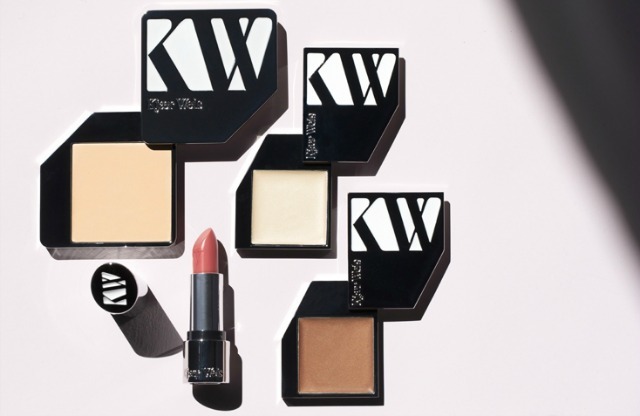 Some of their best selling products include – “Un” Cover-up, Lip2Cheek, and Living Luminizer. 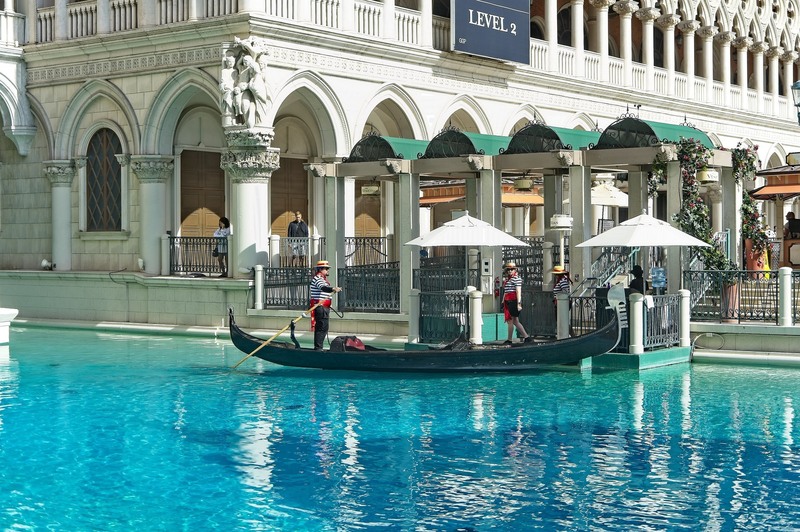 They do not have samples available unfortunately and products can only be returned in unused condition. The best bet is to find a store that carries them and try them on in person before you buy. I also wish the lids for each product were a bit more distinctive. They all look the same so it can make finding the one your looking for a bit of a hassle especially if you are in a hurry. 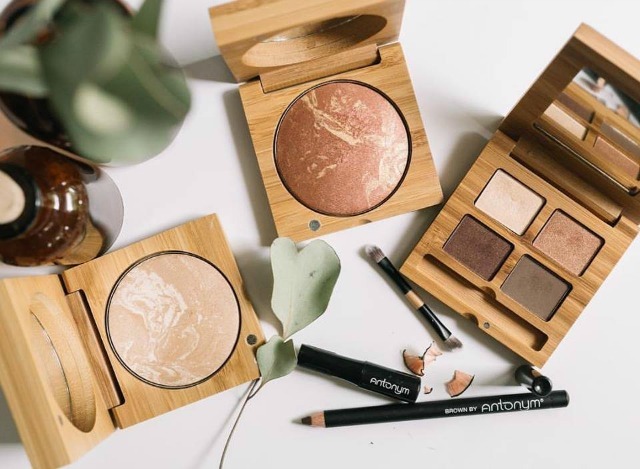 Hailing from beautiful Taos, New Mexico – this lovely makeup brand sells super high-quality organic cosmetics and skincare that is made in-house in their USDA Organic lab. Their products never contain any toxic chemicals, parabens, preservatives, nanoparticles, irradiation, fillers or animal testing. They use solar and wind power in their lab, offices, and warehouse. All of their solid products are packaged in recyclable aluminum and liquid products are packaged in glass, as well as sustainably sourced paper packaging and soy-based inks. Not too many companies can boast these standards. 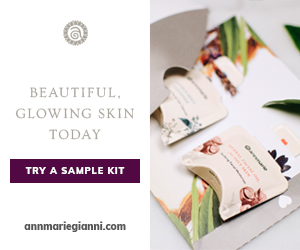 Their ingredients are 70% organic, 30% essential oils, vitamins, and natural mineral pigments. Nice! Some best selling products include – Solar Translucent Bronzer, Atmosphere Luminous Foundation, Siren Lipstick, and Halo Illuminator. You can order samples of any of their products and they also have a 30-day money back guarantee. Natural flower infused makeup in refillable compacts? Yes, please! Their lovely Flowercolor Cosmetics are made from earth minerals infused with precious flower cutins which is the wax-like substance that forms a protective barrier on flower petals. Ever notice how water droplets bead up on flower petals after a rainstorm? This is why. How neat! Just as a flower stays beautiful over time, this flower wax-infused make-up glides on so smoothly, lasts longer, and looks gorgeous. 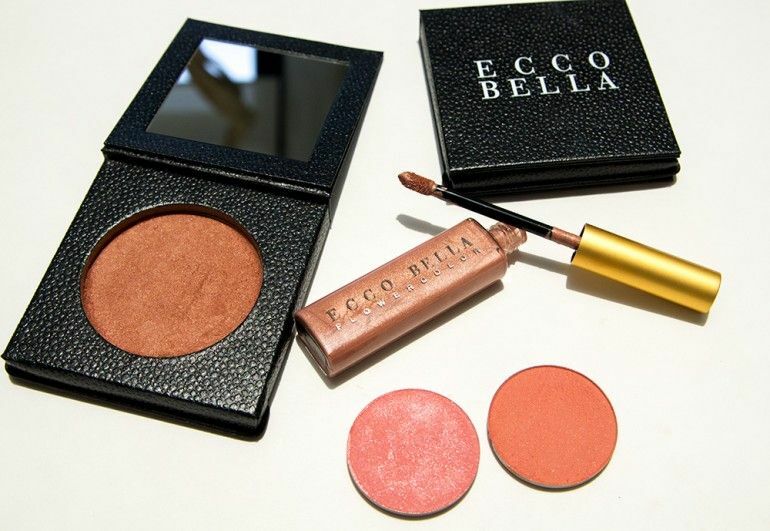 All of their eyeshadows, face powders, blushes, and bronzer come in recyclable round tins that fit perfectly into the Ecco Bella eco-friendly refillable paperback compacts (sold separately) or they can be used in any other standard magnetic makeup case. While they don’t have samples available this brand is carried in quite a few natural food stores. If you can’t find them locally they do have a 30-day money back guarantee so if you don’t like what you purchased or it turns out to be the wrong shade. No worries! You can simply return or exchange it within the allotted time frame. They also make nice vegan skin care and organic perfumes. I have been a huge fan of their Vanilla Herbal Body Lotion for several years now. It smells divine! I just wish it came in zero waste packaging. This is another brand that I consider to be quite green. A good portion of their products come in the form of pressed mineral pigments in tin pans that fit into refillable magnetic compacts. The tins can be recycled once the product has been used up. And did I mention the refillable compacts? All of their cosmetics and personal care products are free of parabens, phthalates, gluten, etc. They are vegan, cruelty-free, and made in the USA. The rest of their packaging is recyclable plastic which is not my favorite but at least you can recycle it. I try to stick with the pan makeup for this reason. I recommend trying their Pressed Eyeshadow Pigments, Natural Brow Powder Pan, Pressed Mineral Blush, and Vegan Shea Butter Lipstick. You can buy samples of all of their products. I definitely prefer to try before I buy whenever possible. 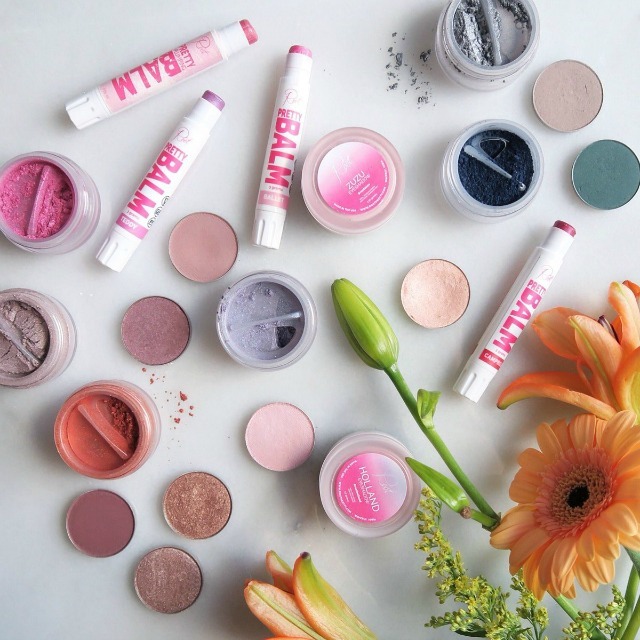 A vegan and cruelty-free brand that uses natural fruit and plant pigments to color their cosmetics, 100% Pure have been at the forefront of the natural cosmetics movement since the company launched in 2005. 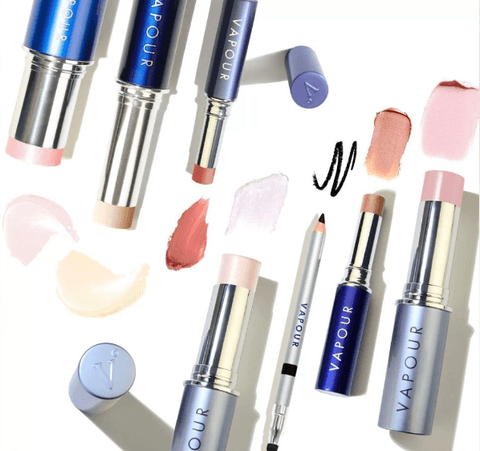 I love that they have proven you can create safe natural cosmetics that are just as vibrant, smooth in texture, and long-wearing as the leading commercial brands. Very nice! While I am not a fan of plastic and try to reduce the amount I use as much as possible at least the plastic they do use is BPA and phthalate-free. I am hoping that in the near future they will do away with the plastic packaging altogether and opt for glass, metal, and bamboo instead. Refills would be awesome too! They do not have samples available but they do have a 30-day 100% money back guarantee. Some of their most popular products include – Fruit Pigmented Ultra Lengthening Mascara, Coffee Bean Caffeine Eye Cream, BB Cream, and Fruit Pigmented Pretty Naked Palette. If you want to know even more about this brand you can read my full review. This brand is Ecocert, vegan, and Leaping Bunny certified to name a few. 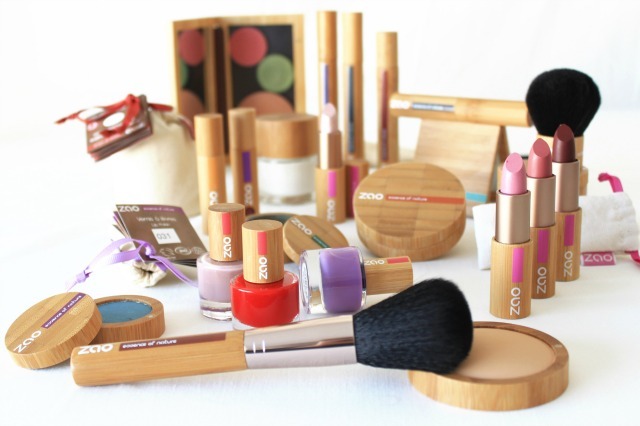 They use natural and organic ingredients as well as sustainable bamboo packaging. The color range is just okay in my opinion. I think it could be broadened a bit to accommodate deeper skin tones. The compacts are not refillable either. But they do still offer high-quality products. The Baked Foundations, blushes, and highlighters seem to be popular amongst natural beauty users. 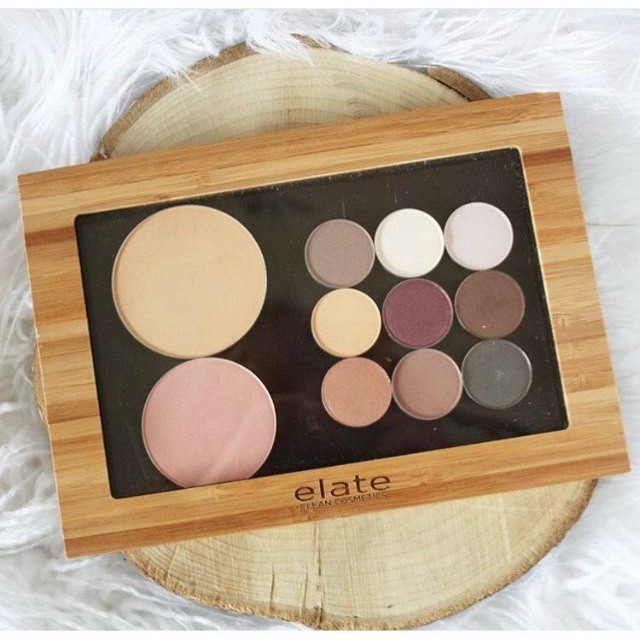 A very sustainable brand – Elate’s products are packaged in recyclable tin, bamboo, and glass. Refills are available and come enclosed in seed paper that you can actually plant. How cool is that?! They do not use any nasty synthetic or chemical ingredients. They have a good selection of colors and foundation shades. All products are 100% gluten-free and vegan and of course, they are not tested on animals. You can order samples and they do have a 15-day return policy if you are not totally satisfied with your purchase which is better than not at all. Some of their bestselling items include – Essential Mascara, Fix Pressed Powder Foundation, Vibrant Lipstick, and Lip Gloss. Another very nice zero waste beauty brand that offers makeup and some skin care. As the name suggests they are organic and ALL products are refillable. Woohoo!! They also use nice sleek bamboo packaging and/or glass and have a very nice range of colors. The nail polish is not yet available here in the U.S. but if you are lucky enough to live in Europe you shouldn’t have any trouble finding it. You can order samples which I strongly suggest because like RMS they only accept returns within 15 days of purchase on unopened/unused items. Recommended products – Organic Silk Foundation, Organic Blush, Organic Matte Lipstick, and Organic Volume Mascara. Offering the most sustainable packaging out of all of the brands listed. This high-end luxury brand provides organic cosmetics in refillable super sleek designer stainless steel packaging. In a way, I guess you could say I saved the best for last. They do not use any parabens or other ingredients that I try to avoid and they do not test on animals or use any animal derived ingredients. They have a very nice color selection and cater to a wide variety of skin tones which is fantastic and not something you always find in the more natural brands. The only major drawback is the price. These products are not cheap. However, you are mainly paying for the packaging so once you make your initial purchase you pay quite a bit less for the refills. They do not appear to offer samples and you can only return unused products. So, I highly recommend finding a retailer near you so that you can test before you commit to buying. What is your favorite zero waste beauty brand? Leave us a comment below or on our social media.